Sommer was born on 3 June 1920 in Gelsenkirchen, Germany. He joined the Luftwaffe on 10 November 1938. He started his service with II./JG 26 Schlageter (ex JG 132), which later became III./JG 26, on 1 April 1939 and served through the French campaign until 30 June 1940. 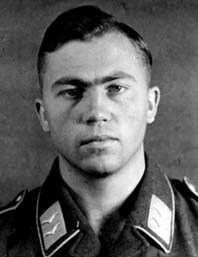 He then spent a year at the officers’ training school at Werder before joining the replacement group of JG 2 on 1 July 1941. He joined the 6 Staffel of the Geschwader on 17 August 1941 at their Abbeville airfield. Sommer flew the Bf 109 F-4 until May 1942 when II./JG 2 converted to the Fw 190 A-2. He was awarded the EKII on 16 January 1942 after shooting down a Halifax bomber at 15:15 hours on 30 December 1941 near Brest, France. The aircraft was from No 10 Squadron. II./JG 2 claimed two other Halifaxes from this raid. This exactly matches the RAF loss records for Halifaxes on this raid. However, some source says that two of the aircraft were shot down by FLAK. Sommer’s kill was hit by FLAK at 15:11 hours and then “savagely attached by a Bf 109 soon after”. The rear-gunner F/L Roach was killed in this attack. The aircraft limped on for another 15 minutes before going down 80 miles off Lizard Point, Cornwall. All the crew, apart from Roach, were picked up at 20:30 hours. On 12 February 1942 he took part in the famous “Channel Dash” providing an aerial umbrella for the Scharnhorst, Guiesnau and Prinz Eugen. This support was provided by both JG 2 and JG 26. Sommer was involved in a landing accident on 14 March 1942 when he hit an obstacle (!) at Evreux/Fauville (Bf 109 F-4 W.Nr. 7648 60% damage) He was obviously not badly injured, as there is no hospitalisation entry in his Soldbuch. He did enter a field hospital in June 1942 for a week with a urinary infection. He also took part in the air battle over Dieppe on 19 August 1942. It was here that he lost his life when he was shot down by Spitfires. His Fw 190 A-2 W.Nr. 5223 “Yellow 11” was one of 12 planes lost by JG2 that day. Another 6 Staffel pilot, Uffz. Günther Geguns was also lost MIA on this fateful day. Was this Sommer’s Katchmarek ? His Wehrpass says that he was last seen 10 km north of Dieppe.  Erich Rudorffer, the Staffelkapitän at this time said that the 6th Staffel contacting about 25 Spitfires 30km north of Dieppe. Leutnant Rudorffer describes this mission as a very difficult and chaotic aerial battle. Whatever the exact events of the day, Sommer and Geguns have been missing in action since. They have no known grave but the English Channel is probably their last resting place. Sommer was 22 years of age. He flew 16 combat missions and had one aerial victory. 1.7.1941 – 16.8.1941 Ergänzung Jagd Gruppe 2 Ausbildungstaffel.